I am completely ignoring my blog these days because I am enjoying new motherhood. Each second of my schedule is now occupied with feeds, diaper change and lullabies :D However, Elegant Eves is my first baby after all and whenever I am getting some time, I am trying to keep it updated with new finds and reviews. Today’s quick review is of a eyeshadow palette marketed by an Indian brand called “Glitter Galaxy” who sell their products on Instagram. 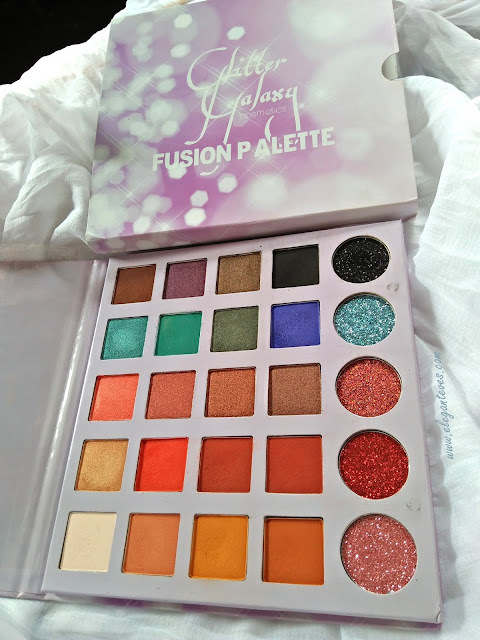 My close friend Tapaswini had bought this palette a few days back, but since she is fond of collecting eye shadow palettes she realized that she has similar shades in other palettes of hers. 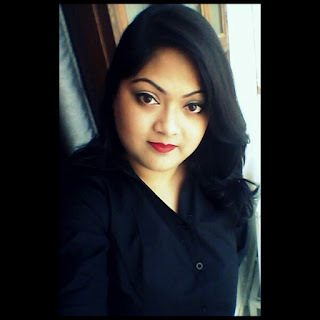 So this beauty ended up in my kitty :P Read on to find out more. It is a cardboard palette with magnetic lid enclosed inside a paper slip-on envelope. 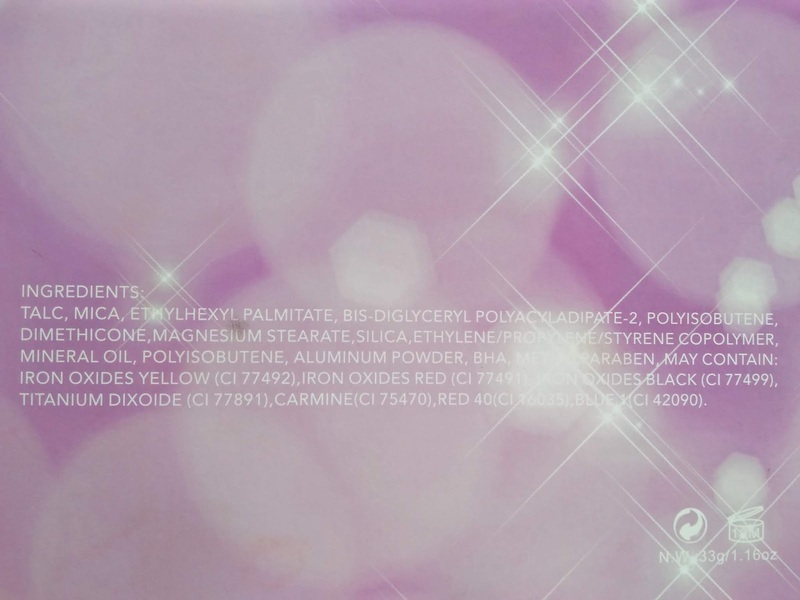 The color theme of the outer packaging is pale lavender with white diffused light prints J There is no mirror inside the palette and it is lightweight. The magnetic lid is decent enough and shuts properly. 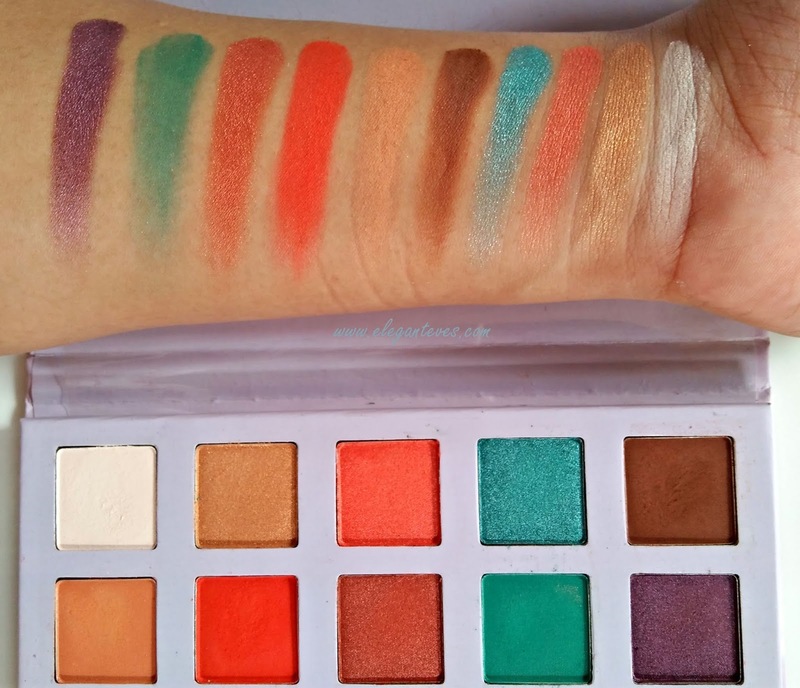 This palette reminds me of the famous (and expensive!) 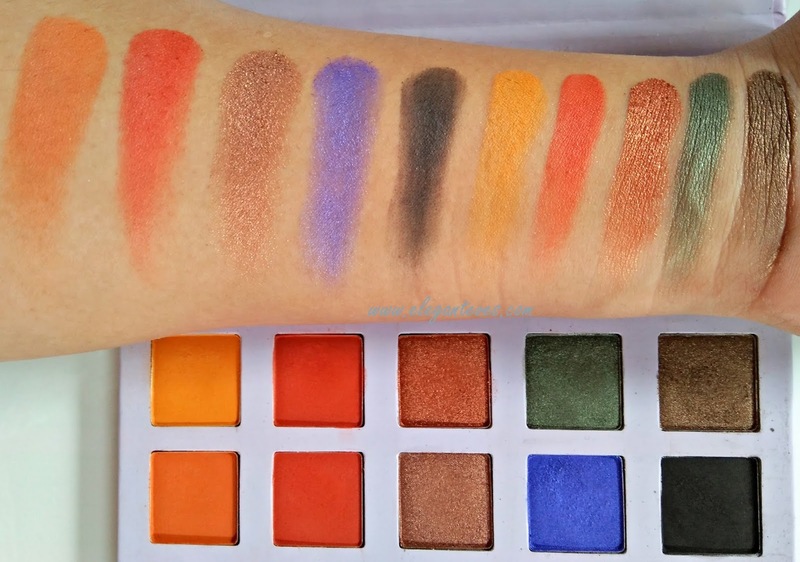 Jacklyn Hill palette by Morphe. I had always wanted to own such a multicolor palette as the JH one, but my pocket always restrained me. 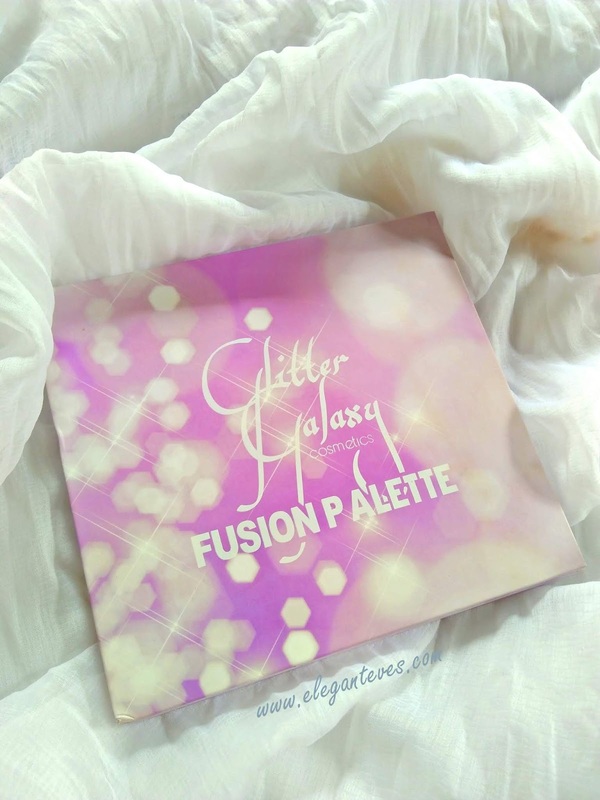 I am so glad that this palette has similar shades like the JH palette (though not as many shades in number) and has an add-on of pressed glitters as well! Overall, the palette has twenty eyeshadows and five pressed glitters. Amongst them, ten are matte shades, ten pearl shades. After the Makeup Revolution SophX eyeshadow palette (Read review here), this is the most pigmented palette I have seen! :D Such insanely pigmented shades, my God! All the shades are buttery smooth except for a couple of matte shades. But even the shades which are not as smooth, there is no compromise on the pigmentation part. As much as I am trying to find out one shade which lacks in pigment am just not able to! 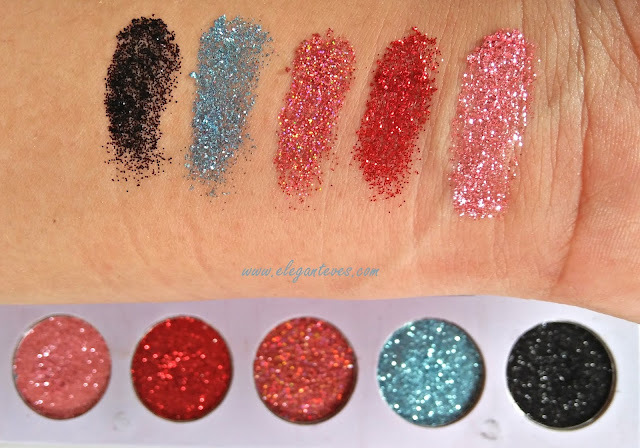 The glitters in the palette are pink, red, deep pink with multicolor shimmers, a teal blue and a deep sparkly black. All of them are pressed and are self adhesive. A VERY light hand is required to pick up product, else you may waste a lot of glitter. I feel, instead of the pink glitter, a gold one would have completed the palette for an Indian :P We do love our golds in traditional wears, don’t we? But I don’t mind much since I had separately bought three pressed glitters from Glitter Galaxy and one of those shades is a gorgeous gold! I have patted some eye shades on my eye lids and they show up so well without any primer underneath. 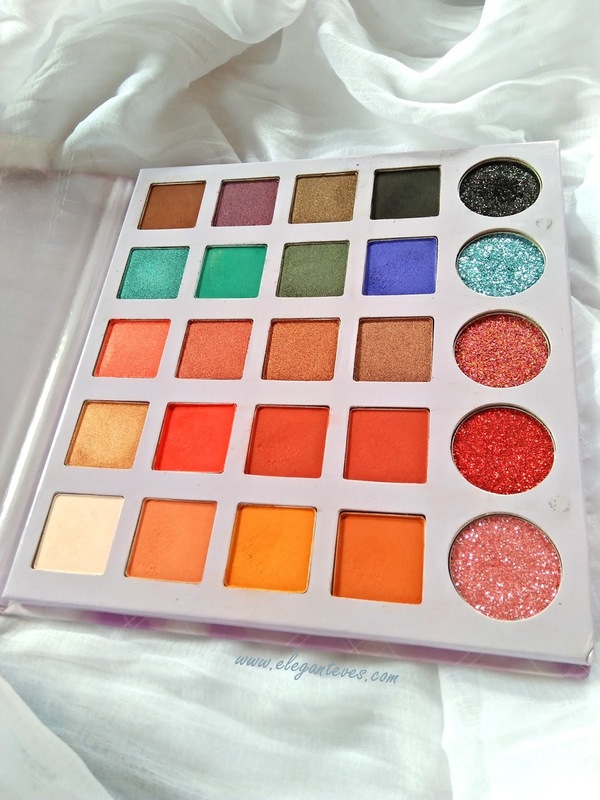 However, I am yet to try full fledged eye looks with this palette. I shall update this space on longevity of the shadows, blendability etc only after that.